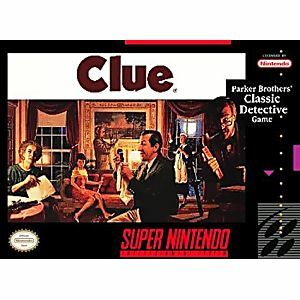 Clue SNES Super Nintendo Game Cartridge Cleaned Tested and Guaranteed to Work! Who killed Mr. Boddy? Was it Colonel Mustard, with the Lead Pipe, in the Kitchen? 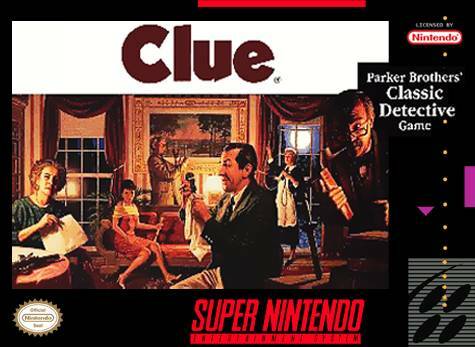 All the deductive fun of the classic game comes to life, as the animated mystery unfolds before your eyes! - Play alone or with up to 5 human or computer opponents, and solve a new mystery every time! 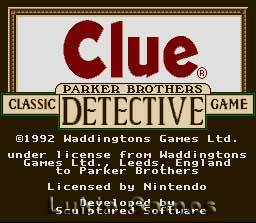 Choose from 5 levels, Amateur up to Detective. Classic board graphics have crisp, bright colors. - Make a suggestion - "Was it Miss Scarlet with the Knife in the Hall?" - and collect evidence from hundreds of animated vignettes. Refined sound effects and music add to the suspense! 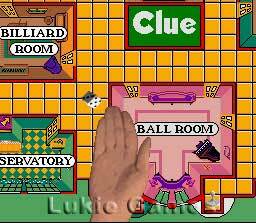 - When you've collected all your clues, make your deduction and your Accusation - Whodunit? with which Weapon? Where? - and solve the ever-changing, ever-challenging mystery! This game is pretty fun and offers a nice alternative to the board game. This game is fun, not one of the best games ever, but c'mon it's 3 bucks.